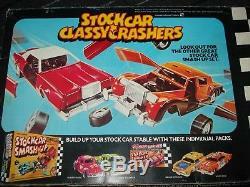 Stock Car Smash Up - Crazy Crashers SSP. Two Classy Crashers Powered by Two Super Throttle Straps and Equipped With Sonic Sound. Hear That Howl of Power - The Big Boss Car's Are Battin' it Out & Blastin Each Other to Pieces - Puttin Them Back Together's Easy - Then You Can Smash Em Again! 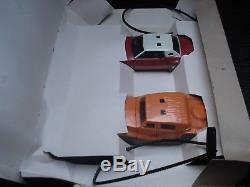 This Great Vintage Toys Was a Must Have Item in the 1970's - Re-Live it With This Gem of a Toy. A Crazy Crunchin Wreckin Race - Wheel's, Doors and Bonnets All Get Smashed! 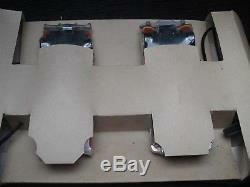 This Item is Complete and in Excellent Condition- See Below and Pictures. 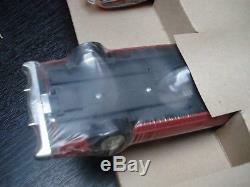 Ex Shop Stock - Never Removed From the Box - Cars Factory Sealed.. 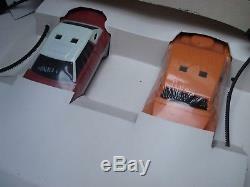 These Sets Were Very Hard to Find - Now 43 Year's Old and Totally Unused. 2 Classy Crasher Stock Car's. Brief Instructions Are Printed on the Box. 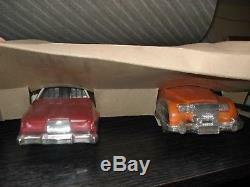 The Cars Are Factory Sealed. The Cars Should Both Still Make the Sound! The Power Sticks Are in Excellent Order. The Inner Box Has Old Tape, Discolour, Mark's and is Dented. 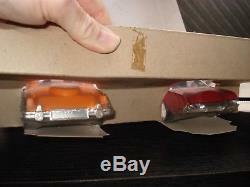 The Outer Box Has Split Ends, Old Tape, Scuffing, Mark's, a Price Label and is a Little Dented. The Box Still Looks Pretty Good. Bring Back Those Childhood Memories With This Classic Item. Please Take a Few Minutes to Browse Through The Vintage Board Game Emporium, I Think You'll Be Impressed By Our Selection of Games and Toys. We Have Vintage Games and Toys For All the Family. If You Are Looking For a Game That We Do Not Have Listed, Please Ask As We Have Lots of New Inventory at all Times Which Hasn't Been Listed Yet. Powered by SixBit's eCommerce Solution. 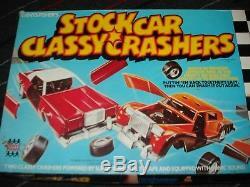 The item "STOCK CAR CLASSY CRASHERS STOCK CAR SMASH UP EX SHOP STOCK 100% UNUSED" is in sale since Sunday, October 08, 2017. This item is in the category "Toys & Games\Vintage & Classic Toys\Other Vintage & Classic Toys".dust" and is located in Norwich, Norfolk. This item can be shipped worldwide.